There are 6 reviews of Bucoliques de Provence. Typical yet lovely as always, powdery iris note. I never tire of this flower. Aromatic, furry animal leather. Sort of like sheepskin boots. Slight human body odor, sweat vibe. Lavender moves in; it isn't too loud. This perfume turns all powdery iris again for me, as it settles. A pleasant mix of lavender and tonka, sweetened with pie spices and deepened with iris, with just a hint of funk underneath to reference classic fougeres. It took me a few wears to really appreciate Bucoliques - it has a chemical effusiveness that seems simultaneously thin and loud which kept me at arm's length for a while. And it's just not insistent, content to be pleasant without loudly claiming its own brilliance, so it's easy to overlook. But after a while, it caught me on just the right day and the cloud of sweet spices and lavender over the suede-wrapped iris felt absolutely perfect hovering around me in the first warmth of early Spring and it won me over. 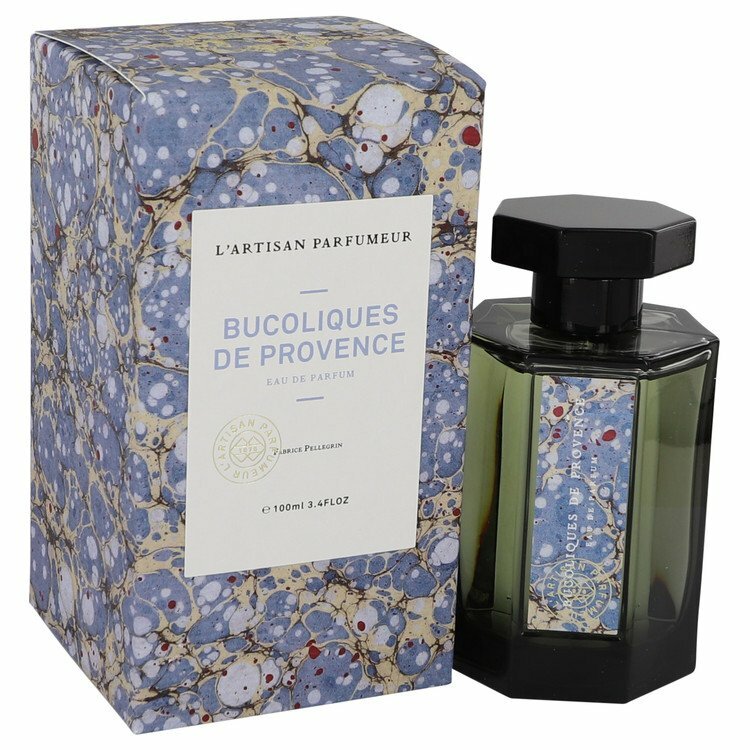 Bucoliques de Provence opens with a beautiful lavender note. It's aromatic, herbal, and moderately earthy thanks to the subtle rooty aspect of iris hiding underneath, yet at the same time, it smells clean to me. Thankfully, the clean effect here is not due to the metallic, screechy faux-lavender note routinely dosed in many commercial fragrances' top notes, but is achieved through a steamy, fluffy white musk layered over everything, like applying a blur filter to create a soft, dreamy ambiance on the picture. The leather and the iris here are the faithful companions to the grey-purple lavender. The bridge between lavender and leather is built around the hay facet present in both, which at times smells even a bit spicy. Iris also fits seamlessly in the picture, thanks to its velvety texture linking to the leather and its earthy characteristics shared with lavender. Sometimes, when the violet facet of iris meets the subtle herbal spiciness, I can even smell a vivid herbal violet note popping up occasionally. With time, the boundary between these notes become more and more blurred. 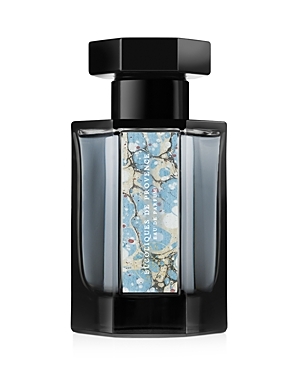 After about 2 hours, Bucoliques de Provence becomes a sensual, musky suede skin scent. This supple, slightly powdery white musk and suede actually remind me of the dry down of Hermès Cuir d'Ange, but this time with the aromatic, hay facet and the earthy rooty nuance humming in the background. The sillage of Bucoliques de Provence is initially moderate during its first hour, and then drops to the proximity of the skin for the rest of time. It lasts about 8 hours on my skin. Starting from Bucoliques de Provence, the recent releases from the main line of L'Artisan all seem to favour a more straightforward structure with a naturalistic, bucolic style. Here, the lavender field in Provence and the leather representing the historic glover industry in Grasse make a solid alliance with iris as the witness. Each accord has subtle yet rich nuances to evoke a natural sensation, while the fragrance as a whole is easy to appreciate and exudes an effortless elegance thanks to the precise dose and choice of the clean yet skin-like, plush white musk. I would definitely recommend it as a refined lavender fragrance with a delicate iris-suede undertone. The strong opening blast is lavender-centric; an intense, herbal and earthy lavender of bucolic sensuality and texture indeed. In the drydown iris is added, but the other core component of the heart notes is an interesting leather impression, not very new, like a nicely aged leather of well-worn handbag. I do not get a separate base note phase of note. The sillage is moderate, the projection very good and the longevity seven hours on my skin after lavish application. Opens with citrus and a herbal lavender, but the citrus is gone quickly and the iris and leather come through in the heart with a dry spiciness at the back. It's relaxed and androgynous, really easy to wear. It's very blue-purple and reminds me of Apres l'Ondee - there's something in common in terms of colour/texture. Really lovely. The opening really does evoke the lavender fields of Grasse, as was the intention. Sadly, very poor longevity - there was no trace of it after 3 hours. Soft, a bit powdery. More iris than leather. Hints of warm spice and the merest touch of leather. Also, a note that is a cross between green, paper, and very faint rubber. Maybe that also is the iris. Not sweet in the florals, rather dry. L'Artisan Parfumeur Bucoliques de Provence Eau de Parfum 3.4 oz. There are no member images of Bucoliques de Provence yet. Why not be the first?